she has worn an artificial eye since her left eye was enucleated by at age 10. Her first prostheses were made of glass and she well remembers selecting her glass eyes from an assortment laid out on trays. She also remembers breaking her glass eye and the drama and stress this caused her poor mother who had to rush her to the optometrist to find a replacement. She was always told to clean her prosthesis daily and to take it out at night to ‘rest’ the tissues. One morning she couldn’t find her eye as probably was taken up by rat. 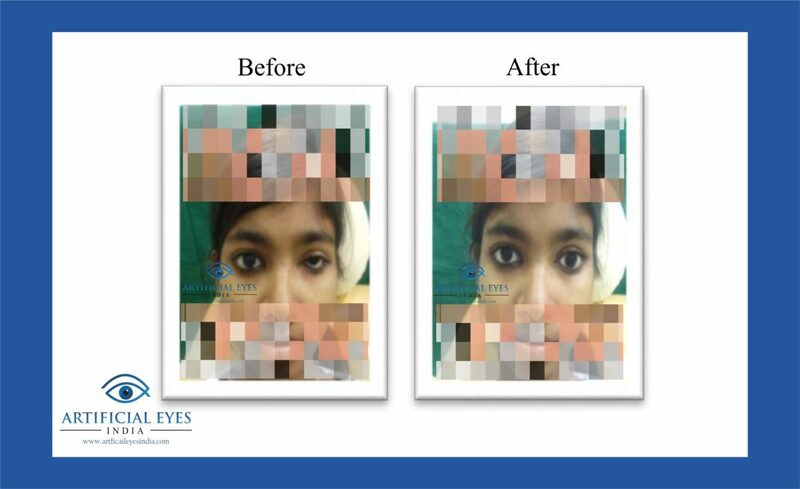 she presented for a review of her artificial eye and socket. Her prosthesis (made elsewhere a few years ago) was too small, gazing inward and unstable. Its hard to believe that its me. I just cannot find words to express my feelings – quite unbelievable that after so many years, I no longer have the horrors/fears of dropping or losing my eye. And the daily ‘mucky build up’, scratchy, itchy. Now I actually feel so confident in anything and everything I do.Its amazing!! I wish you all the very best.